Rehearsals are underway for our May 5 performance of Puccini's Messe di Gloria. Guest soloists, orchestra and wonderful singing will provide a wonderful close to our 51st season of bringing great music to life. Fort Dodge Choral Society is excited to celebrate its 51st season. 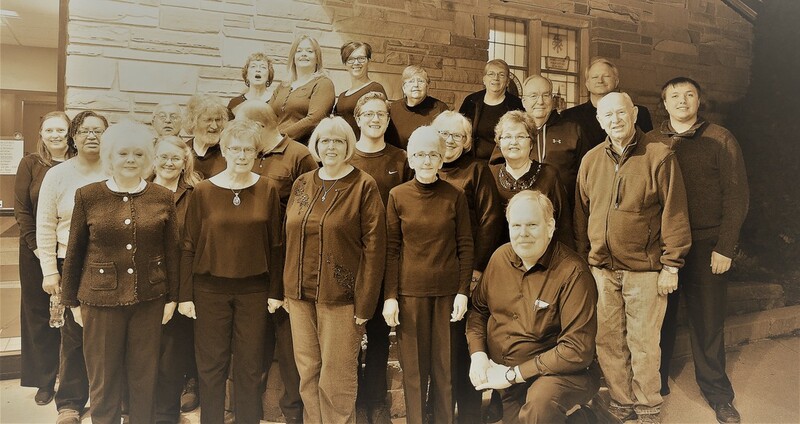 Organized in the spring of 1968 by individuals who were interested in providing an opportunity for the study and performance of challenging sacred and secular choral music compositions; and to participate in the rich cultural environment of the community; Fort Dodge Choral Society is one of the oldest community groups dedicated to the performance of fine choral literature in the state of Iowa. FDCS frequently collaborates with area ensembles from several different genres. Regular contributors include Jive for Five and music faculty from Drake University. Additionally, the ensemble presents concerts in tandem with the Fort Dodge Area Symphony. Other area collaborations include work with Comedia Musica Players, The King Ringers handbell choir, and children's choirs from Fort Dodge's public and parochial schools. As part of its mission to promote musical excellence in the Fort Dodge area, the society has commissioned and debuted choral works from area composers. Bruce Perry, Conductor, maintains an active musical schedule as a studio teacher, conductor, and performer. As a singer, Perry has performed in recital, opera and oratorio. He has a passion for Twentieth-Century art song. He serves as worship and music coordinator for Grace Lutheran Church, Fort Dodge and is active in Iowa Choral Directors Association. As a teacher, Mr. Perry works with many of the area's finest singers; more than forty of his former students are currently pursuing careers in the musical world. As a pianist, Perry has performed throughout the Midwest and in Brazil. In his spare time, he enjoys computers, deltiology, and collecting antiques. He is a native of Sac City, Iowa, where he now resides. Mr. Perry holds degrees in piano and vocal performance from Luther College and the University of Iowa. Jeanette Hinkeldey a classically-trained pianist and organist, performs throughout Iowa as an organ recitalist and pianist for musical theater productions and vocal/instrumentalist soloists. When accompanying the Buena Vista University Choir on their European tour, Jeanette performed in Paris at the world-renowned Notre-Dame Cathedral, as well as The American Cathedral (The Cathedral Church of the Holy Trinity). Currently, Jeanette accompanies the Storm Lake High School and Middle School Choirs and is the Director of Music at St. Paul Lutheran Church in Aurelia. She also maintains a private piano and organ studio and is involved in the Iowa Music Teachers Association as the Theory Chair and in the Iowa Federation of Music Teachers as the Recording Secretary. Jeanette received her Master's degree in Music at Drake University and her Bachelor of Arts degree from The University of South Dakota. Throughout her years of study, she worked with Dr. Carl Staplin, Dr. Larry Scully, Dr. Jeannine Jordan, and Dr. Robert Delcamp. She and her husband, Mark, reside on the Hinkeldey Family Farm south of Alta. They have two grown children, Renae and Marcus, who are also involved in the agricultural business. When not in the music scene, Jeanette enjoys traveling, reading novels, and watching cooking shows, knowing full well she will never have time to make any of the recipes.